If it has anything to do with horses there’ll most likely be something there about it some way shape or form. That’s not a short description but surely a most accurate one for the upcoming EquiFest of Kansas. Justine Staten serves as executive director of the Kansas Horse Council and manages the EquiFest of Kansas, February 22-23-24, Topeka. Furthermore, often days gone by more than today, certain prejudices have existed among horse folks, despite common affection all things equine. Maybe, the rodeo jocks snide halter leaders, barrel racers shun flat seat riders, all race horses do is run. Doesn’t seem such nowadays as everybody’s eager for what’s best for the horse doing everything the best way possible. Serving as executive director of the Kansas Horse Council (KHC) in Manhattan, Staten said EquiFest is the Council’s main fundraising effort. She’s the event manager working diligently nearly nonstop coordinating 2019 attractions starting immediately when since last year’s EquiFest concluded. “In its 26th year, KHC provides Kansas’ equine industry leadership direction through education, promotion, and public policy advocacy” Staten said. “EquiFest of Kansas celebrating its 22nd year is certainly Kansas’ all-breed horse fair and exposition,” Staten exclaimed. 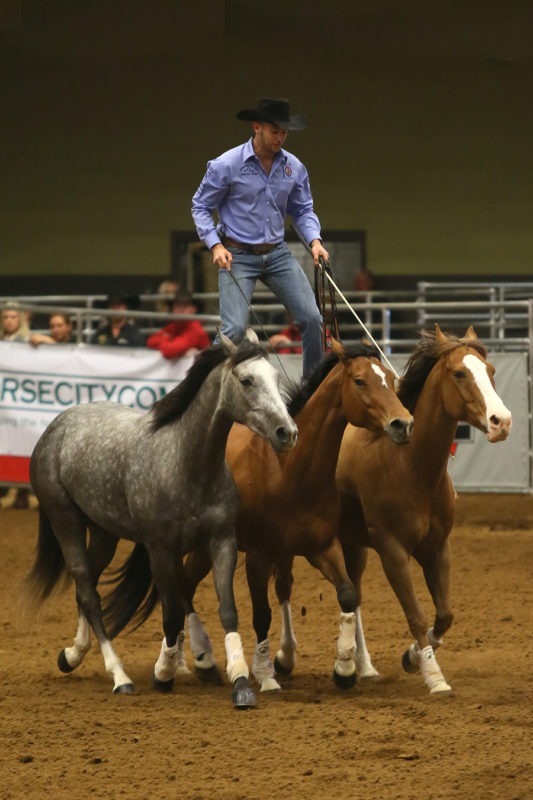 Dan James, Double Dan Horsemanship, is the headliner clinician featuring natural training at the EquiFest of Kansas, February 22-23-24, Topeka. Briefly, there’ll be clinicians, workshop speakers, shopping, art, poetry, children’s events, horse shoeing, horse judging competition, and a painting horse. Four of the country’s top equine clinicians are to be featured. 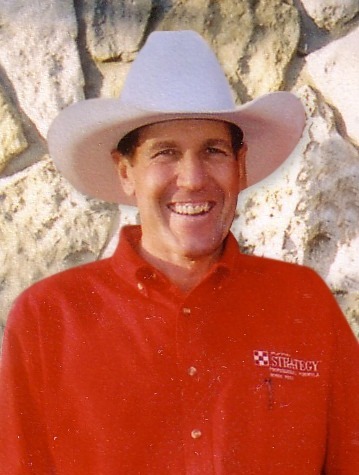 They include Dan James, natural horsemanship; Mustang Maddy, mustang trainer; Tami Burklund, barrel racing champion; and Kip Rosenthal, hunter-jumper expert. Premier presenters are Ben Masters, documentary film maker; Tom Seay, nationwide trail riding; and Elizabeth James, University of Kentucky, management. 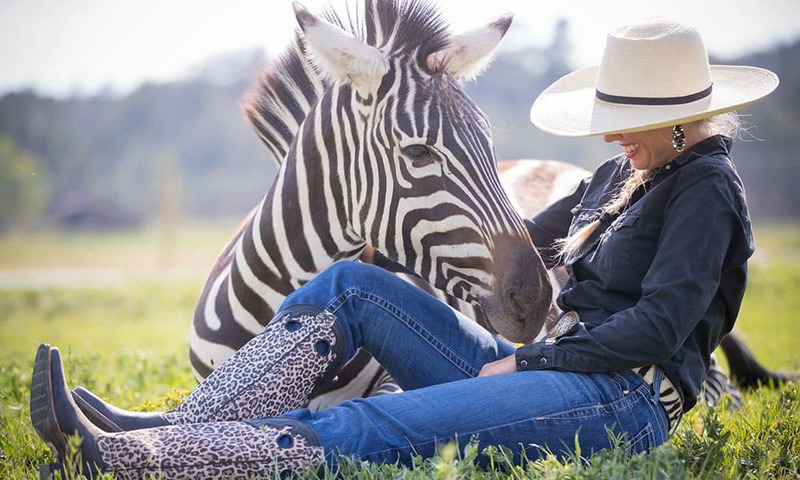 A highlight at the EquiFest of Kansas, February 22-23-24, in Topeka will be Mustang Maddy training mustangs and even zebras. Equestrian drill team demonstrations and contests are scheduled. “Three teams are to compete in a precision pattern, a patriotic demonstration and also a freestyle finale,” Staten verified. The Carriage and Driving Society of Greater Kansas City will sponsor the EquiFest Driving Derby. Horse shoe forging demonstrations, competitions and draft horse shoeing are to be presented by the Kansas Farrier Association. Again, a horse judging contest has been planned for youth teams with competitors typically drawn from throughout the state. What makes EquiFest especially appealing for everyone is that nearly every equine breed in existence will be in attendance. “Each breed organization will have displays in the Breed Showcase and present daily public demonstrations,” Staten related. 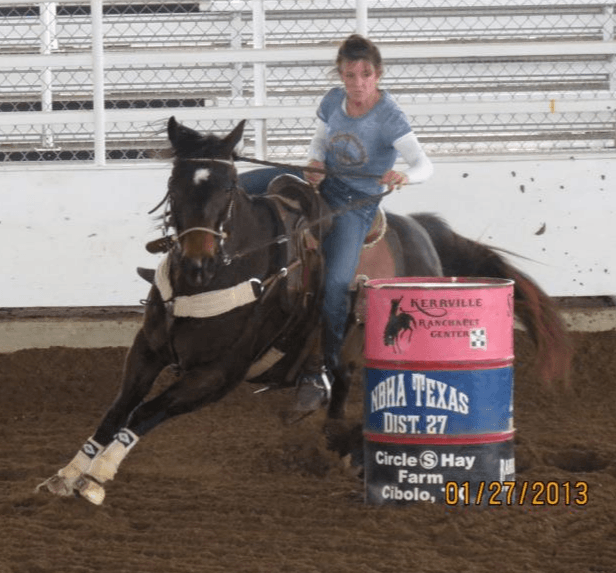 Former track jockey, Tami Purcell Burklund is a multiple champion in barrel racing who’ll present her winning techniques at the EquiFest of Kansas, in Topeka, February 22-24. With all the attractions, shopping is still often considered the biggest part of EquiFest, Staten admitted. “If it can be used for a horse, or by any equine enthusiast, there’ll be commercial displays,” she said. 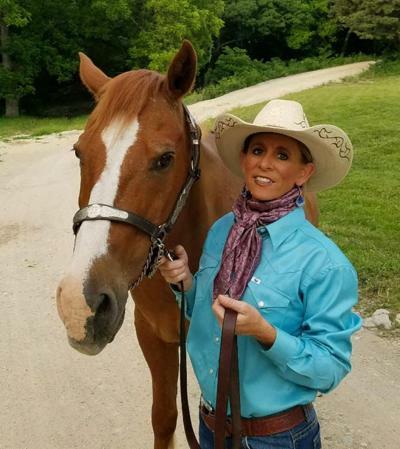 Former track jockey, Tami Purcell Burklund was complimentary described by Staten as “the winningest female jockey” in patterned Quarter Horse racing. She’s also a two time National Finals Rodeo champion. Especially known for repertoire with students, Kip Rosenthal will present jumping philosophies at the EquiFest of Kansas, Topeka, February 22-24. “Tami will share her life experiences relating tips and tricks learned at the top in both competitions,” Staten added. 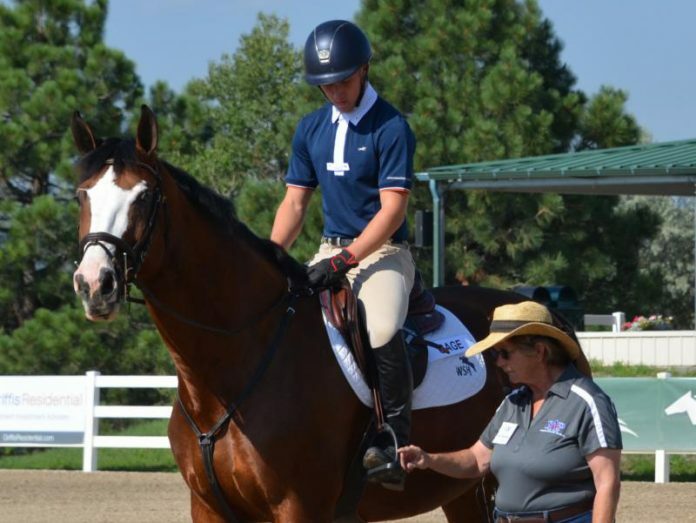 An accomplished rider of hunter and jumping horses, Kip Rosenthal has a background in education and sports psychology. “She’ll take the audience through steps to achieve confidence while managing mind over matter,” Staten said. Complete details and program lineup can be found at www.equifestofks.com.